Approved course with IPHM. In these days of man-made energies and earth energies having detrimental affects on our homes and our bodies, we need to be aware of how we can alleviate these effects. The aim is to live healthy, fulfilling lives in an environment where we feel our bodies can rest and sleep and rejuvenate and wake up feeling refreshed everyday. Where the environment is not healthy for you, over a period of time sickness in the body will increase and can eventually cause many debilitating diseases. In this interactive course Vicky will take you through various exercises to help you achieve a healthy home, mind and body. You will also learn how the environment affects your health and how to balance your energy levels. This workshop will include crystal grids for home and garden to give a healing space, by connecting to the energy of your home. Dowsing and clearing any Geopathic stress from your home remotely by map dowsing our homes to locate the “sick” areas that are out of balance and bringing back to harmony again. Dowsing the aura and working with crystals to bring the auric field back into balance. Know how to tune into the vibrations of a person even when there are no physical signs of illness. 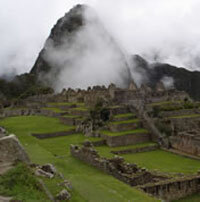 How to do remote healing using a “witness” of a photograph or a drawing of a person or place. How to send distance healing. Dowsing for nutritional supplements and specific remedies needed for optimum health using charts. Psychic protection when to practice it, and to keep your energy fields protected when other people are suffering with dis-ease. How past lives chords can affect our health and dowsing to find out which patterns are repeated in this life and changing them. Know which dowsing tools to use and know the importance of ethics for dowsing for health. Dowsing for a Healthy Home, Mind and Body. Saturday and Sunday 2nd and 3rd November 2019 at 10.30 a.m. – 5.00 p.m. 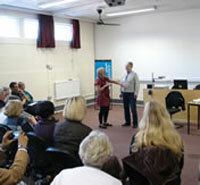 These two Dowsing for Health courses can be taken in any order to suit you. Learn all you need to know about Dowsing for Health determining the best therapy and course of action. Using charts for quantities and time factors when determining which vitamins and minerals to take. Dowsing for Environmental factors that affect us and the percentage level. Dowsing on wellbeing charts and inherited patterns. Working with the floor plan of your home to change the energy of your home remotely and looking at the chakra system in your environment. Learn how to make an energy portal for yourself and anyone with vibrational energy which can be made anywhere, good for that special place to sit in your home or garden. Balancing the chakras back and front on the body to bring harmony and balance to support our immune systems, working remotely and on the body with the physical chakras and the 4 Transpersonal chakras using a chakra diagnosis system. How we can locate by dowsing the areas on the body where there is emotional trauma within the body working with the auric field by working with an aurograph to analyse the colours and the use of crystals to balance the aura. How inherited programming can affect our health, dowsing to find out which patterns are repeated in this life and change those patterns to enhance our health and wellbeing. Dowsing on a picture of a person and connecting with the organs and DNA of the body that need attention. Then through a meditation visualise and talk to each area of the body organs using white light energy to bring to the organs what they need to heal the body. Dowsing for Health one day Course TBA. Would you like to learn how to dowse for food intolerances, allergies and more? This workshop will show you how. There will be lots of practical guidance and time to try out your new found skills during the day. Vicky will also show you how to dowse for nutrients that your body needs and how to ask the right question when dowsing. You will also learn how the environment affects your health and how to balance your energy levels. This workshop will also include advanced grids for home and garden to give a healing space, by connecting to the energy of your home, dowsing and clearing any Geopathic stress from your home remotely, dowsing for past life chords that prevent you from moving forward in this lifetime and removing them. Healing the auric field with a 5 star grid method. By the end of the day you will have a basic knowledge of dowsing for food intolerances, allergies and more, which you can start to use and develop for yourself and those around you. Saturday 6th July 2019 10.00 a.m-5 p.m.
Vicky is a qualified City and Guilds teacher and has been teaching at Adult Education Centres and various Colleges throughout the UK and Europe for nearly 20 years. Vicky is an approved course provider of IPHM. 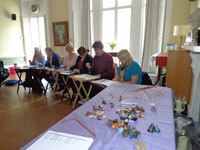 Various dowsing exercises using a pendulum and charts, dowsing the aura and balancing. About geopathic stress and earth energies and the signs to look for in the environment. How to use deviceless dowsing and when to use it. Vicky is a qualified professional dowser for more than 22 years working with earth energies, water dowsing, health and archaeology. Working with the floor plan of your home to change the energy of your home remotely and looking at the chakra system in your environment and bring it to balance. Balancing the chakras back and front on the body to bring harmony and balance to support our immune systems, working remotely and on the body, using an energy diagnosis system and working with the physical chakras and the 4 transpersonal chakras. How we can locate by dowsing the areas on the body where there is emotional trauma within the body working with the auric field by working with an aurograph to analyse the colours and the use of crystals.